We are Reckoned as a Prominent Impact Pulverizer Manufacturer, Exporter and Supplier Based in India. These products are widely used in various industries for a range of applications including processing and blending activities. 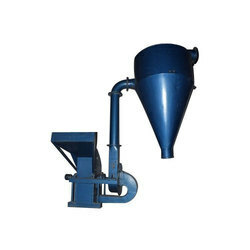 Impact Pulverizer is Suitable for Meeting Grinding Needs of Various Industries. 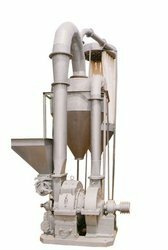 Type: Vertical Model Air Swept totally enclosed, high-speed swing hammer type grinding mill with Whizzer Air Classifier. Impact Pulveriser machine is the one of the Type of pulveriser designs to get finnest powder from Lums or Granules. Impact pulveriser machine can pulverise upto fineness of 200 mesh with appropriate output. Impact Pulveriser machine is widely used in Different Industrial Fields like, Chemicals, Food (Spices), Colors, Dyes, Ceramics, And Other Industrial Field.